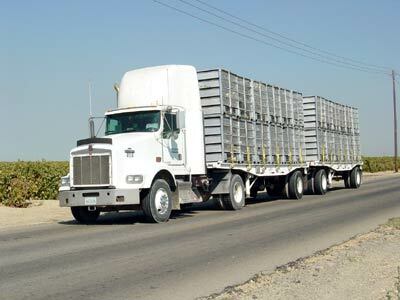 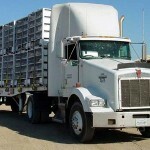 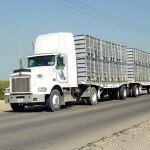 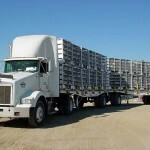 Transportation to our plants is one of the most important segments of raising poultry. 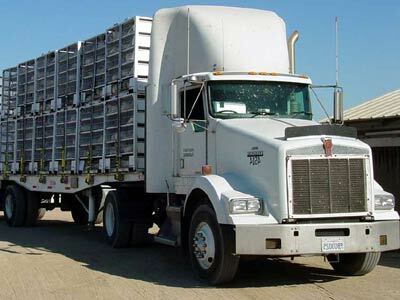 Our trucks are designed and constructed to provide a safe, comfortable transit for delivery of our birds to our plants under stress- reducing conditions. 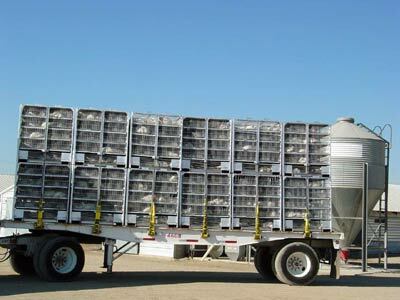 Transport vehicles are designed to move the birds from our farms to our plants without undo harm. 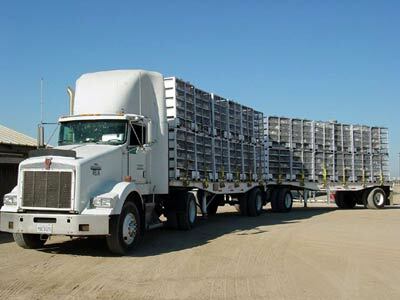 Prior to loading birds for transport, the trucks and coops are cleaned and disinfected after each flock is moved. 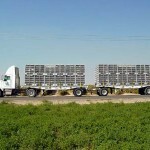 Sufficient floor space is provided on the bottom of each individual coop so birds can rest comfortably on the floor of the coop while in transit. 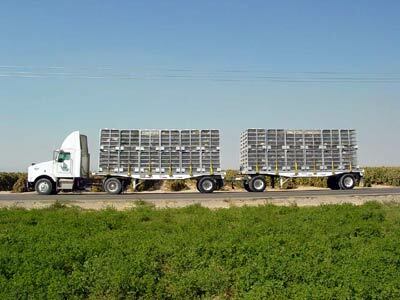 Our transport operators and drivers are trained and knowledgeable about the aspects of animal well-being and are skillful in handling the birds when outside temperatures are too warm or too cool. 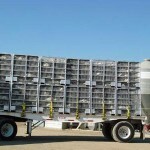 California Poultry Federation producers consistently follow specific guidelines and implement pre-planned procedures to address temperature changes and overall animal well-being.